All set? Ok, great. The goats to whom I’m referring are the special ones that help Big Picture Farm produce the most intensely, uniquely delicious caramels I have had – the Chai Goat Milk Caramels. Their resemblance is striking, don’t you think? While traveling through Vermont one crisp, sunny day last fall, we stopped for a sign that read “Brewery, Cheese Samples, and Ice Cream.” A mirage, I wondered? Surely there can’t be a highway stop that covers all of my favorite things. But guess what? It was so totally real. I sampled cheeses, drank a beer, and had a mouthful of maple soft serve ice cream. It was as if heaven had found a home in rural New England, and I was moving in. On our way out the door, I stopped short. A small box in the impulse buys section of the checkout counter caught my eye. Chai Goat Milk Caramels. What in hell…I mean heaven…? One box grabbed, scanned, paid for, and torn open later, life had suddenly changed. The caramel itself was flawless; chewy but not gummy, sweet but not cloying, and all that creamy, rich and buttery flavor was fantastic. 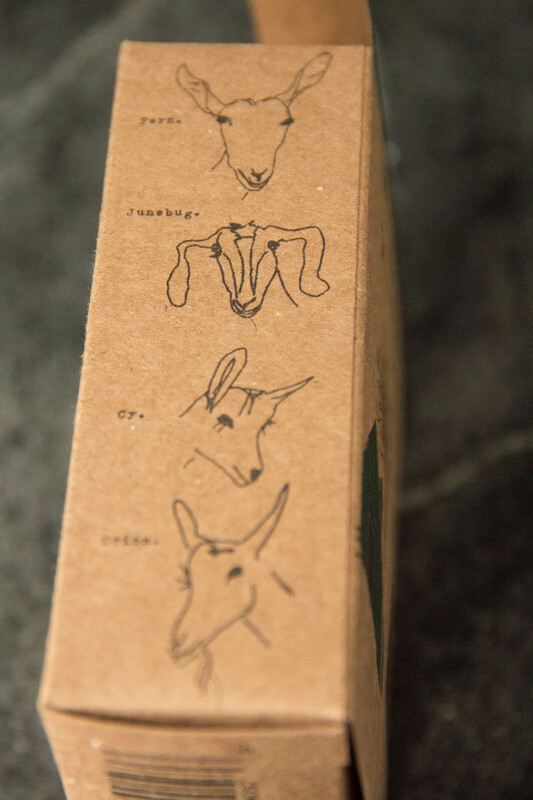 But beyond the fact that these goats really can make a caramel was the unexpectedly complimentary flavors of black pepper, cardamom, cinnamon, cloves, and all the beautiful chai flavors announcing their presence through the subtle black flecks floating throughout. And just when you think it’s over, you get a hint of that funk from the goat’s milk. And that’s why I wanted to give a shout out to the Big Picture Farm goats. Because they may not be the have the honor of being Taylor Swift’s backup singers, but they seriously know how to make a farm-fresh caramel sing.